If you are going to read any books while pregnant, you have to read this one. This is not to say books such as What to Expect When You’re Expecting and What to Expect The First Year are not wonderful and totally worthy of your time. However, when I was pregnant with our first child, like most new parents I consulted every written source of advice available. I read all the books, even ones written by Dr. Spock many moons ago. I read online articles as well as printed magazines. If the word “baby” appeared within a source, I found it and read it. Amidst all my reading I was aware of the most popular books and spent a little extra time on them. 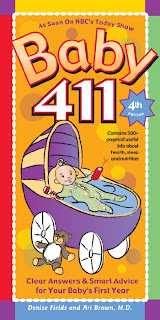 Then for Christmas my mother in law gave me Baby 411. I read it as thoroughly as I had read all my other books. At this point I was pregnant, but not yet a mother, so therefore I did not really know what a little treasure trove I was holding. In fact, I did not really know anything. It wasn’t until after my daughter was born that I realized how wonderful this book is. 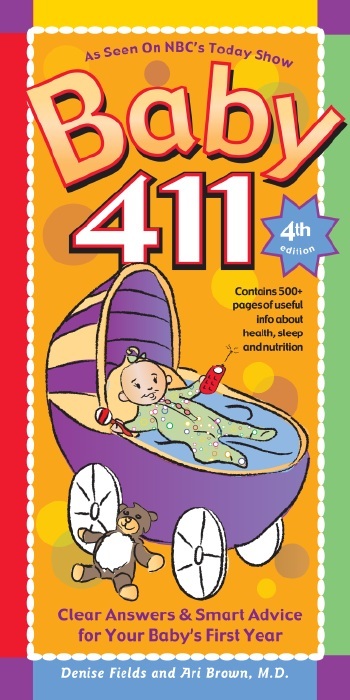 During the first year of my daughter’s life my husband and I consulted this book on many occasions, looking up ailments, finding the right sleep routine, predicting her growth spurts and eating habits, etc. I am very grateful to having had this book, especially at 2 a.m. in the morning when our daughter would be wailing inconsolably. Now, being pregnant with my son, I am sure I will use this book many more times during his first year. In fact, I am already starting to look through it in my spare time to refresh my memory. Next time you are at a book store looking for your newest addition to your baby book library, whether you are expecting or expecting to be expecting, don’t overlook this one.